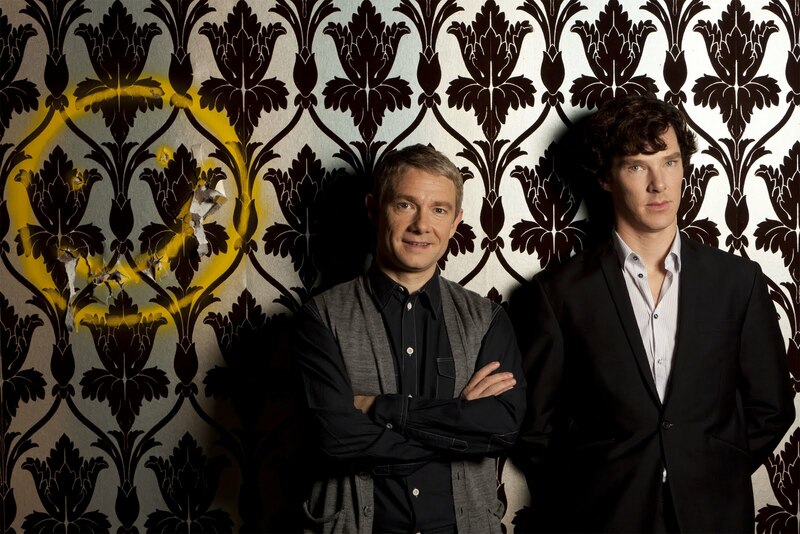 News about the highly anticipated third series of Sherlock has started coming fast and furious now that production has finally kicked off on the new episodes. Yesterday, Steven Moffat and Mark Gatiss officially revealed the title for the second episode of the series it is [drumroll, please] The Sign of Three. The Sign of Three continues the Moffat/Gatiss tradition of referencing classic Sir Arthur Conan Doyle stories from the Sherlock Holmes canon in (most of) their episode names. In this particular episode, it looks like we’re redoing the novel The Sign of Four, which involves, among other things, a missing father, secret criminal pacts, corrupt prison guards, and the introduction of Holmes’ drug habit. How this episode fits in to the “three words” that producers teased as alleged clues to Series 3’s content is anyone’s guess. The inclusion of an episode based on this story adds further fuel to the speculation fire that guest star Amanda Abbington’s mystery character will in fact turn out to be Mary Morstan, love interest and future wife of John Watson. (A nice bit of art-imitating-life twist, in that Abbington is Martin Freeman’s longtime romantic partner off-screen.) Watson meets Morstan in this story in the Conan Doyle canon – though oddly enough in canon she’s also dead by the time of Sherlock’s surprise resurrection – so clearly we’re doing things a bit out of order in this particular adaptation. The bit that will be especially interesting about this is that Moffat and Company have already used several elements of the story from The Sign of Four in Series 1’s The Blind Banker, including the murder victim discovered in a locked room that’s only accessible by climbing/by an acrobat and subordinate thieves who steal from the original thief. This is, of course, kind of minor in the grand scheme of things, in that Blind Banker pulled from a couple other stories including primarily The Adventure of the Dancing Men and Valley of Fear, but it’s interesting to consider what the “primary bit” is from that story that’ll get used here, outside of (presumably) Morstan as a central character. Thoughts? What would you like to see in a BBC Sherlock adaptation of this particular Conan Doyle story? Let’s discuss!